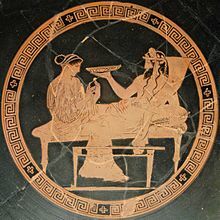 Kori Epigi was 16 when she realized that the myth of Persephone was about her. The first of the line of oracles to be educated outside the Holy Mountain, Kori knows that it is death for outsiders to trespass upon the mysteries of Pluto. If only the world were so simple. But it is 1878, and the Ottoman Empire has been carved into new and unstable nation-states. If Kori’s ancient, hidden people are to survive, they must come out of hiding. His worshippers know that the plans of Hades are deep, and cold, and slow. It is up to them to understand and take advantage of the opportunities that fall from the hands of the Wealthgiver. And stumbling through the mountains, with nothing but his medical kit, the uniform on his back, and a death sentence hanging over his head, here comes an opportunity now. Wealthgiver is an alternate history romance with geo-politics, assassins, and the Crypt Language of the cave-Thracians. Current status: alpha draft finished. Resting until July.